Even though twins are an incredible blessing, I do have sympathy for new parents who have twins and only twins. They don’t have a chance to team up 2-parents-on-1-baby as 97% of people do, and have those moments of confidence where you think, hey, we can handle this. 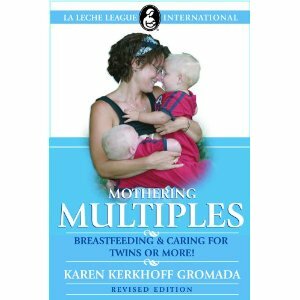 But there are experts out there – medical experts, and other parents of twins, who’ve written some wonderful books about being pregnant with and raising twins. Here are seven of my favorites. 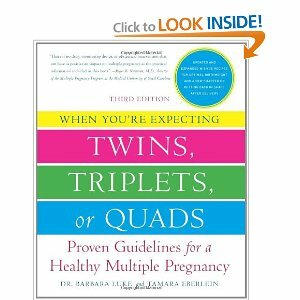 Here are three great all-around books on what to expect with twins, from pregnancy through childhood. 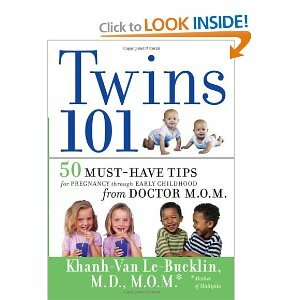 This book is a collection of tips for a twin pregnancy and early childhood from “Dr. M.O.M.” (mother of multiples). There’s a special emphasis on educating parents about the NICU, medical jargon related to twins and newborns, and things to discuss with your pediatrician. 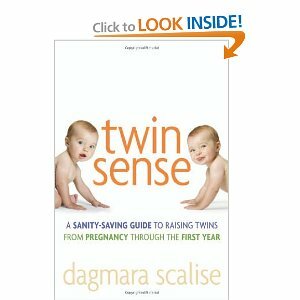 These are two excellent no-nonsense guides to parenting twins in the first couple of years. 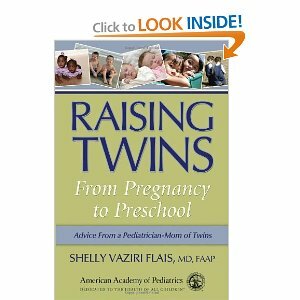 Here are two other great reads: a mother’s personal view on raising twins, and a classic book on establishing healthy sleep habits for them. 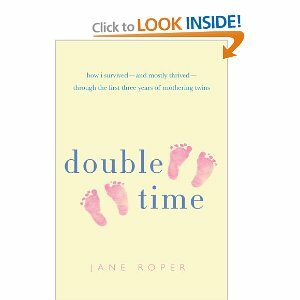 This book by Jane Roper isn’t really a how-to guide, but the story of her own experience raising fraternal twin girls while battling depression and a host of personal issues.It’s an entertaining and very personal view as she experiences trying to get pregnant, processing the idea of twins, sleepless nights, endless diaper changes, and all of those unforgettable experiences in the first three years of twins’ lives. If I could recommend a single book to the parents of twins, especially if these are their first babies, this would be it. 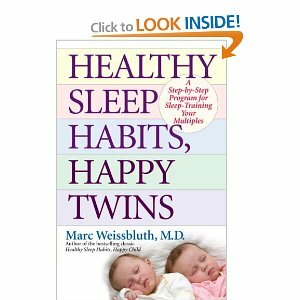 From the author of Healthy Sleep Habits, Happy Child comes this guide especially tailored to twins.In it, you’ll find a comprehensive guide to baby sleep training, including feeding schedules, establishing a bedtime routine, handling late-night wake-ups, and more, all while dealing with the extra difficulty of teaching two babies at once how to sleep through the night. Having a twin really gives me a mixed feeling. I’m happy but coping with raising two kids of the same age is really challenging. 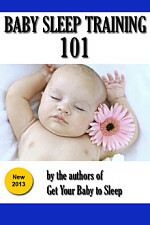 I’ve got the book ‘Twins 101’ and my life has been much better after taking few of the advices found there. I’ve always wanted twins and now that I’ll finally have it in a month or so, I can’t be more excited. These are great books by the way. I have Raising Twins given by a friend. It is really helpful. Great post! 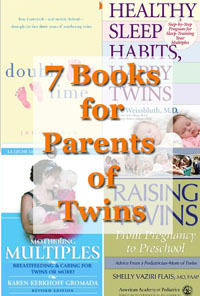 This is a great list of resources for mothers of twins. I’m definitely sharing this with my friend who’s having twins. Great post.